Nothing could possibly beat the feeling of waking up late on a Saturday morning, wrapped up in your duvet with a cup of tea on the way. Your bed ­is one of the most important spaces in your home, so it’s important to get it right, especially when creating a new home. Hot summer nights are best spent under cool soft cotton and chilly winter evenings are best spent tucked under a quality down duvet. 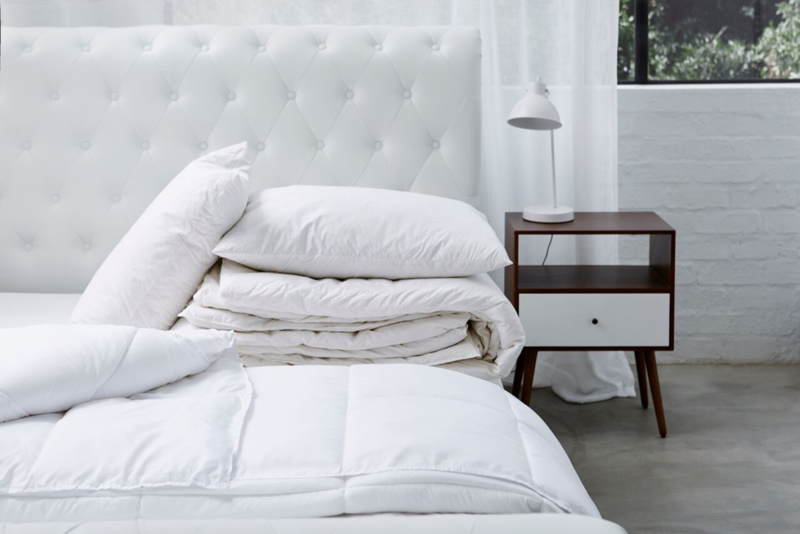 Deciding what bedding to choose can be a tricky business, so we’ve put together an essential guide to make your bed as comfy as can be. 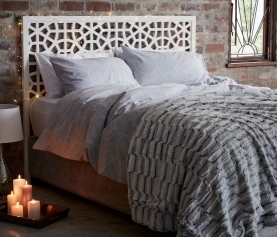 A down duvet is an investment and it’s the perfect way to stay warm and cosy throughout winter. Allow the luxury of duck feather and the fullness of duck down to comfort you at night. Pair it with comfortable duck down pillows and enjoy luxurious sleeping at its very best. Microfibre is a completely allergy free man-made fibre. The casing is ultra soft and the inner fibre gives your bedding high loft for that sleeping-on-a-cloud experience. Take your pick from our luxury, light weight and all season options – you’ll be sure to find an inner to meet your needs and have an amazing slumber. 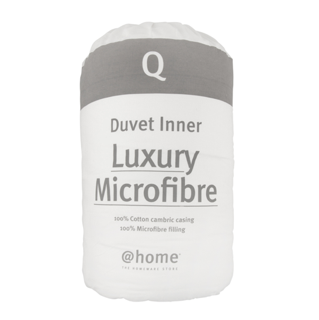 Crafted for comfort, this natural fibre inner is soft, hygienic and warm, so you can sleep easy every night. 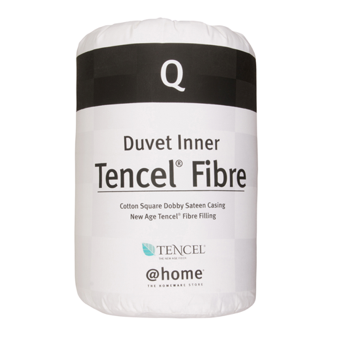 Tencel fibre is an eco-friendly choice extracted from 100% beech wood pulp, which means it’s perfect for someone wanting to live a nature-loving lifestyle. 100% natural, cotton duvets are both lightweight and thoroughly breathable. It’s ideal if you prefer to feel comfortably cool in summer. It’s also great for the kids as it’s still maintains its quality after plenty of washes. 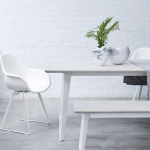 Bamboo is a light and sustainable choice for summer. It is naturally anti-bacterial, odour-resistant and more absorbent than cotton, especially useful for those very hot nights without even a hint of a breeze. It’s a green choice that doesn’t compromise on comfort. In an era of unpredictable weather patterns, an all-season goose down inner is often the to-go solution for many South Africans. 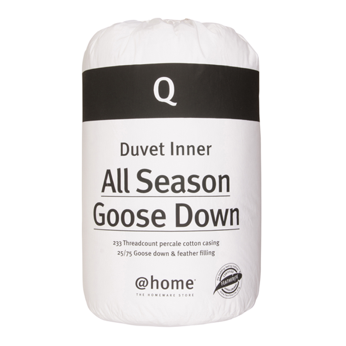 A luxurious filling of goose down keeps your duvet warm enough for winter but light enough for summer. An all season inner will usually have two parts, which you can clip together for extra warmth in winter and unclip for a lighter cover in summer. 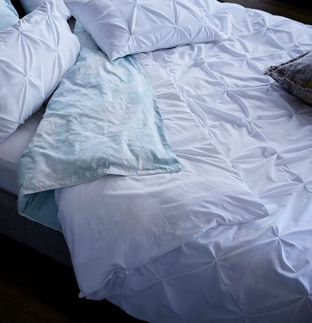 With a 25/75 ratio of goose down and feather and 233 thread count 100% cotton percale casing, it’s the ultimate way to spend a night wrapped up in bed. 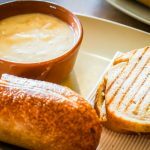 So the bottom line is that it depends on your personal preference, but you really are spoilt for choice and can’t go wrong with any of these options. Sweet dreams.